The Japanese government has released  a draft version of the country’s updated cyber strategy, due for release in June 2015 (PDF – Japanese only) . The strategy, presented at a cyber security taskforce meeting on Monday which wasattended by Prime Minister Shinzo Abe, is now open for public comment. 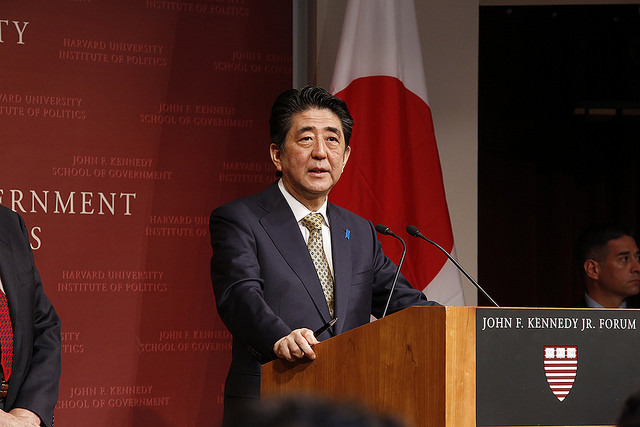 When speaking about the new strategy during the meeting Abe commented , ‘we need to enhance our capabilities more than ever to cope with cyberattacks, which have no borders.’ Abe is said to be keen to get Japan’s online house in order well before Tokyo hosts the 2020 Olympic and Paralympic games. Included in the new draft strategy is an increased focus on cyber ‘guidelines’ for critical national infrastructure (CNI), closer public–private cooperation and a boost to investigation capabilities. The document also mentions the establishment of an Olympic Computer Security Incident Response Team, and makes reference to boosting intelligence gathering and pre-emptive forecasting by working with industry or through ‘counter cyber intelligence’. The language marks a shift from Japan’s previous cyber strategies, and is now more in line with what we have heard recently  from the US government. Singaporean President Tony Tan Keng Yam has just wrapped up  a week-long visit to France. Tan met with French President François Hollande and both leaders oversaw  the signing of a MOU between their respective national cyber security agencies, the Cyber Security Agency of Singapore (CSA) and the Agence Nationale de la Sécurité des Systèmes d’Information (ANSSI). The cyber MOU is the first of its kind for Singapore and its CSA, which was created just last month  when the functions carried out by Singapore Infocomm Technology Security Authority and the Infocomm Development Authority, were consolidated into one agency. The CSA, which sits organisationally within the Prime Minister’s Office, has the responsibility of coordinating and overseeing the nation’s cyber operations and policy. Staying in Southeast Asia, Cambodia will receive  a boost in its internet speeds as it’s connected to its first submarine cable. The cable, which will be constructed in partnership with Thailand and Malaysia, is estimated to cost around US$70 million and will be completed by the end of 2016. In a statement about the project, the partners explained that ‘the MCT cable system will connect Cambodia with its neighbors by undersea cable for the first time,’ and that ‘this link will usher in a new era of connectivity, with faster speeds and improved service leading to greater broadband penetration and better access to digital information and services for all’. The move will undoubtedly increase Cambodia’s download speeds from their current level—sitting around  8.92Mbps—in what will be a boon for the country’s global connectivity and economic growth.